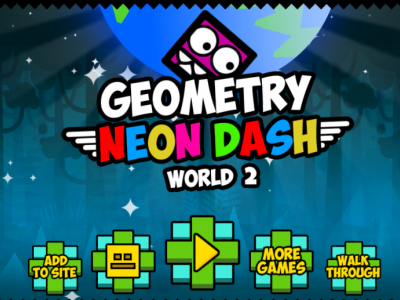 Geometry Neon Dash World 2 is an interesting sequel. It brings a whole range of challenges and new levels. You have to control your geometric character through a variety of side scrolling levels and collect golden stars as you progress. Your character moves automatically - you just control their jumping motion. Good luck!